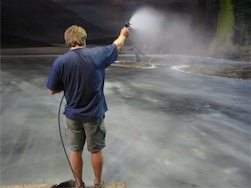 When the special effects team at Warner Bros were challenged to transform a lake from water to ice, we provided the ideas, the equipment and technical know-how. 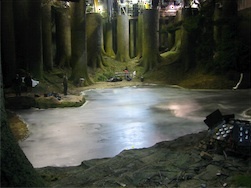 Picture the scene, Harry Potter is standing on a rock at the Black Lake - as the Dementors fly over, casting their evil shadow, the water slowly freezes leaving a solid sheet of black ice. 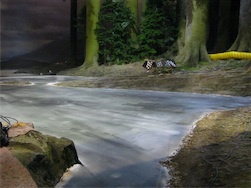 The set took weeks to construct for just a few minutes of film but the result is astonishing. Using over 500kw of cooling equipment, inside a warehouse with an ambient temperature of 46C, the ice was formed perfectly using our EPDM system. Filming took place over three days, ironically in the middle of summer on the hottest days ever recorded in the UK.